Beyond its detailed and vibrant text, Modern Listener Guide: Jimi Hendrix offers more than 175 images, most reproduced in full color. 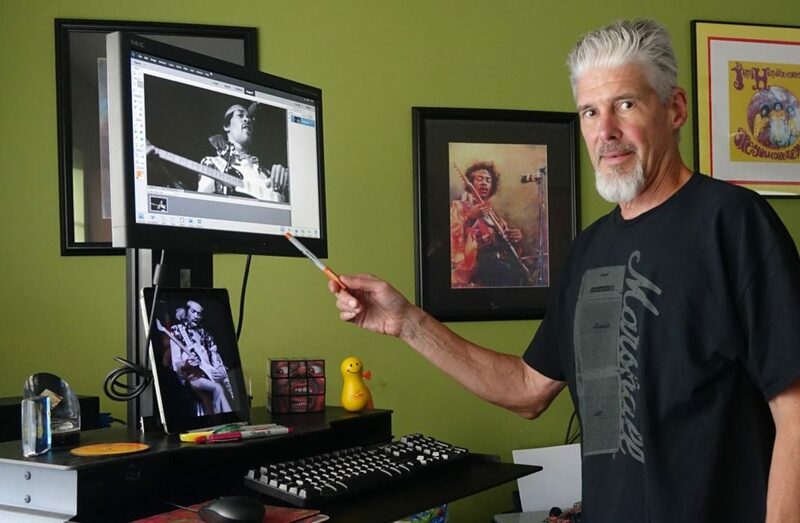 A number of the photographs have never been published before, while others have been licensed from some of the top rock photographers of Jimi Hendrix’s lifetime, including names like Frauke Bergemann, Ken Davidoff, and Charles Everest. Many of the more unusual Jimi Hendrix album covers from around the world appear in the pages of the book, as do a wide range of advertisements and promotional items. An array of relevant historical documentation is also represented, including images and documents from the collection of John Storyk. Storyk – one of the world’s most highly-regarded acousticians and an innovative recording studio designer – worked directly with Jimi Hendrix and Eddie Kramer in the realization of Hendrix’s dream recording facility, Electric Lady Studios, on 8th Street in New York’s Greenwich Village. All of these images serve to colorfully illustrate the story of Jimi Hendrix’s life and reflect the magnitude of his singular music. 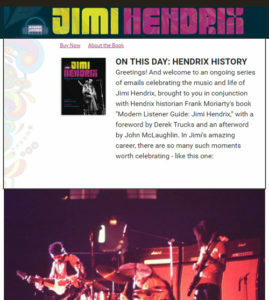 Join our mailing list for informative and colorful updates including “On This Day: Hendrix History"
Limited time only special savings! Take 20% off printed books, 10% off eBook editions! Use coupon code MLGJH during checkout to activate savings. Signed first edition copies with same discount are available in our eBay store!